Hammered Flowers | Project | Kids VT - small people, big ideas! This summertime craft involves an unusual combination of beauty and brawn. First, kids collect flowers from the garden or from a patch of wildflowers. Next, provide them with a hammer, which they'll need to smash out a delicate watercolor flower poster. Wet-petaled flowers such as irises work well, while roses and daisies won't transfer much color. Add an educational component to the project by having kids pencil in the flower names, including botanical families. Lay out a sheet of newspaper on a work surface that can withstand a little pounding. On the newspaper, place a sheet of watercolor paper. 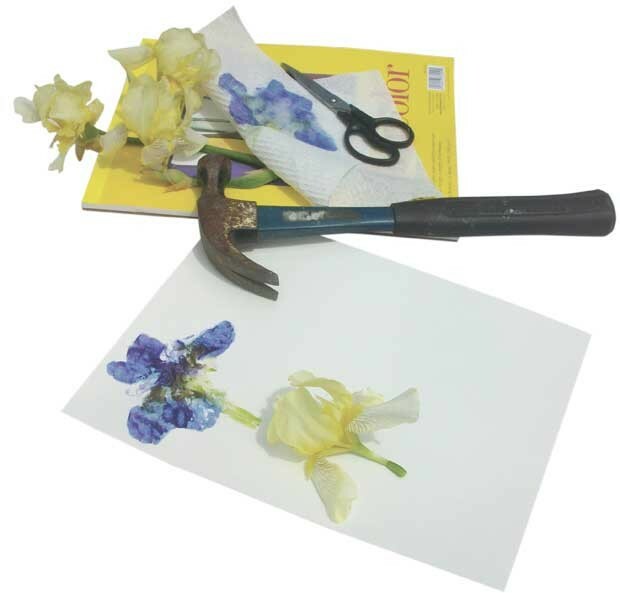 Place a flower on the watercolor paper, and cover it with the paper towel. Use the hammer to gently pound on the entire flower, including the stem. Peel back the paper towel to see if the color is transferring to the paper and continue hammering, if necessary. Remove the paper towel and the flower, using tweezers to carefully lift away any stray bits. Repeat steps 1 through 5 with as many flowers as desired. Once finished, spray with acrylic coating to ensure the colors will last and hang the poster. Share your fun craft ideas with us! 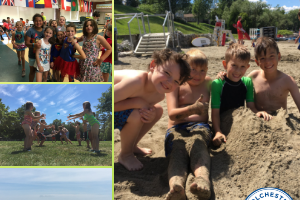 Send them to ideas@kidsvt.com.